A Samford University student and staff member have earned honors in the 2016 Donghwa Cultural Foundation East Meets West International Essay Competition, which seeks to provide an intellectual and creative forum that empowers young voices and broadens the dialogue on cultural awareness and exchange. 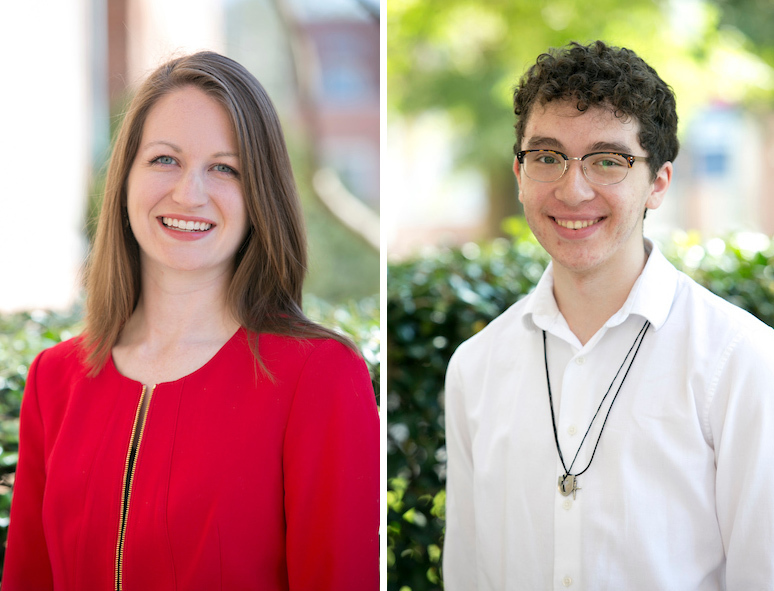 Freshman University Fellows honor student Joshua Lundregan of Newnan, Georgia, and Victoria Smith, assistant director of Samford’s Academic Success Center, submitted essays about how their cultural views have changed in today’s globalized society. Lundregan earned the silver prize in the competition’s college division. Smith, a Samford English alumna, earned the Special Award from Korean Cultural Service NY. Lundregan and Smith are studying Japanese language in the Samford’s Critical Languages Program, which offers instruction in less common but still highly relevant languages, including Arabic, Chinese, Haitian Creole, Hindi, Italian, Japanese, Korean, Portuguese, Russian, Swahili and Thai.